The Fitting Tool is an optional function supplied as an add-in to the standard measurement software. 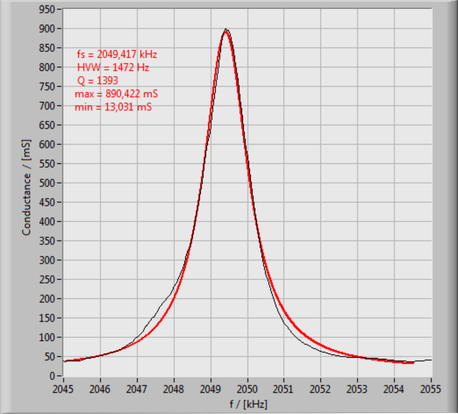 The tool calculates series and parallel resonance frequency as well as frequencies of maximum and minimum impedance/admittance by fitting an idealized resonance function into measurement data, based on least square algorithm. Implementation of automated fitting routines and related data processing is possible as part of our customized add-ins development services. If you have any questions regarding our product family, please don't hesitate to contact us. 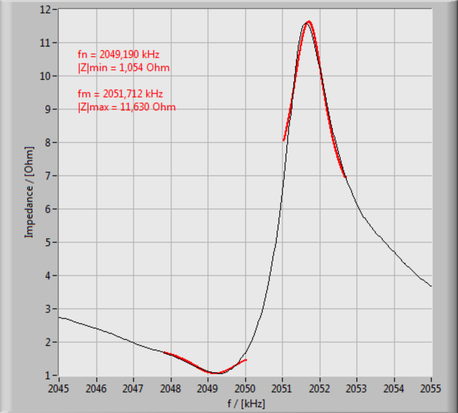 For impedance measurements between 1 KHz and 2.097 MHz.